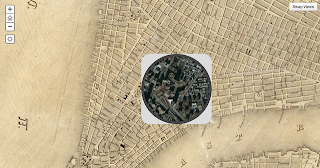 We may not be close to creating a real time machine, but The Smithsonian is allowing us to take a trip back in time, comparing city streets from hundreds of years ago with their modern-day counterparts. These fascinating selections include 1836 New York, 1851 Washington DC, and 1880 Los Angeles, among others. With amazing merges in history and technology like this, the DeLorean time machine is sounding less enticing all the time.